Nov. 30, 2011, 11 a.m. The celebrated documentarian on the value of curiosity and the power of skepticism. 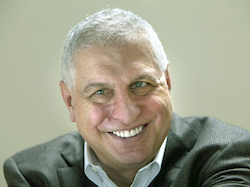 By Megan Garber @megangarber Nov. 30, 2011, 11 a.m.
Errol Morris, before he became the renowned director and author he is today, was a private detective. In a talk last night at Harvard’s Graduate School of Design, Morris discussed how that job’s fundamental spirit of inquiry has informed his documentaries, among them Gates of Heaven, The Thin Blue Line, The Fog of War, Standard Operating Procedure, and Tabloid. “I only discovered very late in the game that I was a journalist,” he said. But his work has always been, on some level, journalistic. And academic. Morris is also an inventor, his most famous creation being the Interrotron (named by his wife, he said, who appreciated the name’s apt marriage of the words “interview” and “terror”). And Morris, fittingly, spent much of his talk — one punctuated and illustrated by clips he’d selected from some of his most celebrated documentaries — discussing the journalistic work his invention facilitates: interviewing subjects and sources. Image by Nubar Alexanian used under a GNU Free Documentation License. POSTED Nov. 30, 2011, 11 a.m.
Garber, Megan. "Errol Morris on the art of the interview." Nieman Journalism Lab. Nieman Foundation for Journalism at Harvard, 30 Nov. 2011. Web. 19 Apr. 2019. Garber, Megan. "Errol Morris on the art of the interview." Nieman Journalism Lab. Last modified November 30, 2011. Accessed April 19, 2019. https://www.niemanlab.org/2011/11/errol-morris-on-the-art-of-the-interview/.